Posted on 2, March 2016 by EuropaWire PR Editors | This entry was posted in Belgium, Defence, Netherlands, News, Poland, United Kingdom and tagged Andrea Bennetti, AREA 5, NATO, OTAN, S.H.A.P.E., Sapienza Consulting BV, Vector Synergy Sp.z o.o, VOL Group. Bookmark the permalink. BRUSSELS, 02-Mar-2016 — /EuropaWire/ — Sapienza Consulting BV, a Leading Provider of Space and Defence Mission and Project Support through People, Software and Services, today announces that after a competitive selection process it has been awarded, as the leading member of a Consortium inclusive of Vector Synergy Sp.z o.o of Poland, the Contract for the provision of “Support Services to the NATO (OTAN) Communication and Information Agency (NCIA) for AREA 5”. This contract, solely awarded to the Consortium comprising of Sapienza and Vector Synergy, is the “preferred vehicle” for fulfilling the NCI Agency’s consultant support requirements in the “General Office Support” area which consists of Contract, Administrative, Finance and Human Resources as well as Logistics and IT Support Personnel. During the one year contract, and its two one-year extensions, the Sapienza led Consortium will provide Professional Consultants as well as other service-oriented solutions to the NCI Agency’s major sites in Brussels (Belgium), Mons – S.H.A.P.E. (Belgium) and The Hague (The Netherlands). A Leading Provider of Space and Defence Mission and Project Support through People, Software and Services to the institutional and commercial sector. Sapienza has been a supplier to the European Space Agency since 1994. Our teams of software architects and developers, space engineers and business consultants deliver solutions from our and our customers’ offices in the UK, the Netherlands, Italy, Germany, Belgium and France. respect of IT security of its Clients. Vector Synergy belongs to VOL Group, which started its operations in 1991. 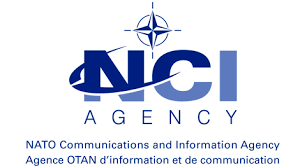 The NATO Communications and Information (NCI) Agency was established on 1 July 2012 as a result of the merger of the NATO Consultation, Command and Control Agency (NC3A), the NATO ACCS Management Agency (NACMA), the NATO Communication and Information Systems Services Agency (NCSA), the ALTBMD Programme Office and elements of NATO HQ ICTM.